John Kingston is a Senior Lecturer in Cyber Security in the School of Science & Technology. John has an extensive background in artificial intelligence and qualifications in law. 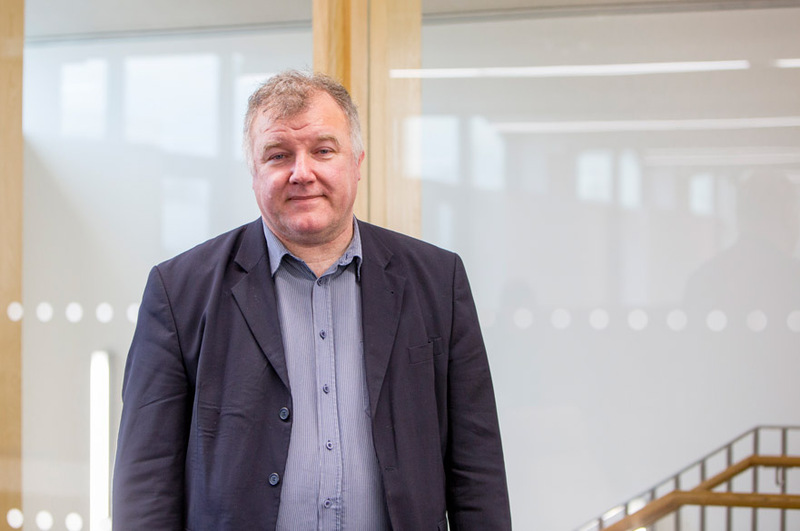 He spent twenty years at the University of Edinburgh, and seven years in a range of roles in government and industry, before returning to academia in 2015. John Kingston,Regulated Information Sharing and Pattern Recognition for Smart Cities. AI-2018 conference, BCS SGAI, Cambridge, Dec 2018. Lukas Guenthermann and John Kingston, Designing a Website using a Genetic Algorithm. AI-2018 conference, BCS SGAI, Cambridge, Dec 2018. John Kingston, Cyber Insurance: A Practical Approach. Accepted for the Journal of Terrorism and Cyber Insurance. John Kingston,An AI Advisor for Forensic Computing.Submitted to the Journal of Cybersecurity Technology. John Kingston, Artificial Intelligence and Legal Liability. Australian Product Liability Reporter, 28, 3, June 2018. Shortened version of this paper. John Kingston, Knowledge Management for Cyber Security: Critiquing and Extending the STIX Ontology. Submitted to the Journal of Knowledge Management Practice. Samashwin Paul and John Kingston, Applying Artificial Intelligence to Divorce Law.Proceedings of the Workshop on AI Applications in Law, AI-2017 conference, Cambridge, December 2017. John Kingston and Nathaniel Charlton, An Ontology to support Knowledge Management in Behaviour-based Healthcare. In Proceedings of AI-2017 conference, Cambridge, LNCS, December 2017. John KC Kingston, Using Artificial Intelligence to Support Compliance with the General Data Protection Regulation. Artificial Intelligence and Law, September 2017. (Published version here). Nathaniel Charlton, John Kingston, Miltos Petridis and Ben C. Fletcher, Using data mining to refine digital behaviour change interventions. Proceedings of 7th International Digital Health Conference, London, 2-5 July 2017.Proceedings of 7th International Digital Health Conference, London, 2-5 July 2017. Also available here. John Kingston, Representing, reasoning and predicting fraud using fraud plans.Proceedings of Research Challenges in Information Science (RCIS-2017), University of Brighton, 10-12 May 2017. John Kingston, Comparing question answering strategies for Cluedo. Proceedings of Artificial Intelligence for the Simulation of Behaviour (AISB-2017) conference: Workshop on AI & Games, University of Bath, 21 April 2017, pp. 332-335. JKC Kingston, Tacit knowledge: capture, sharing, and unwritten assumptions. Journal of Knowledge Management Practice 13, 3, Sep 2012. J Kingston, Choosing a knowledge dissemination approach. Knowledge and Process Management, 19, 3, pp 160-170. J Kingston, Multi-perspective ontologies: Resolving common ontology development problems. Expert Systems with Applications, 34(1), 541-550.